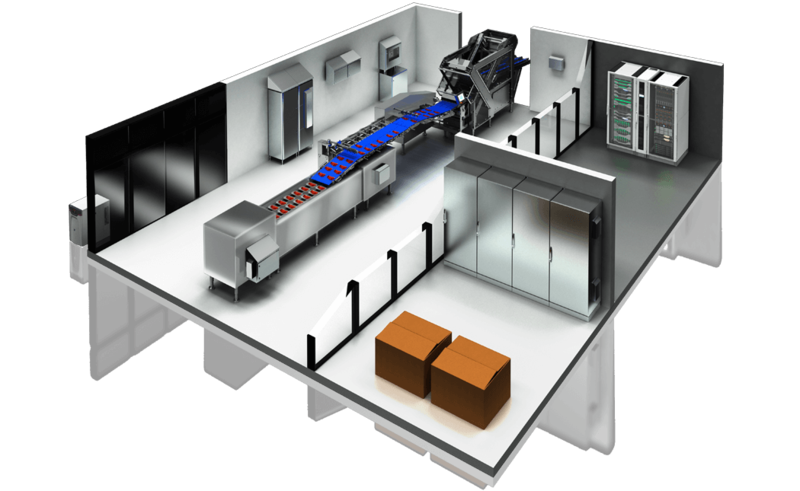 Or why stainless steel alone is inadequate for open processes in the food sector. All areas of the food industry require different hygiene standards. 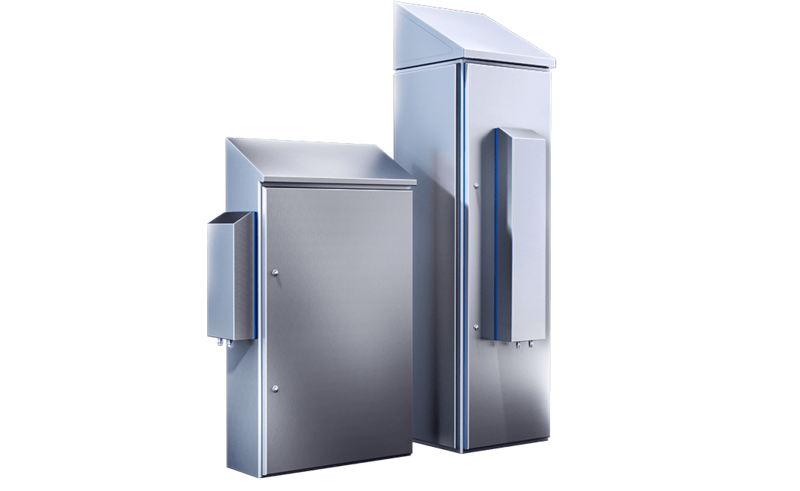 Rittal has the right solution for everything, from the housing and the power distribution to the climate control – everything is a perfect match. Naturally, the IT infrastructure is no exception. 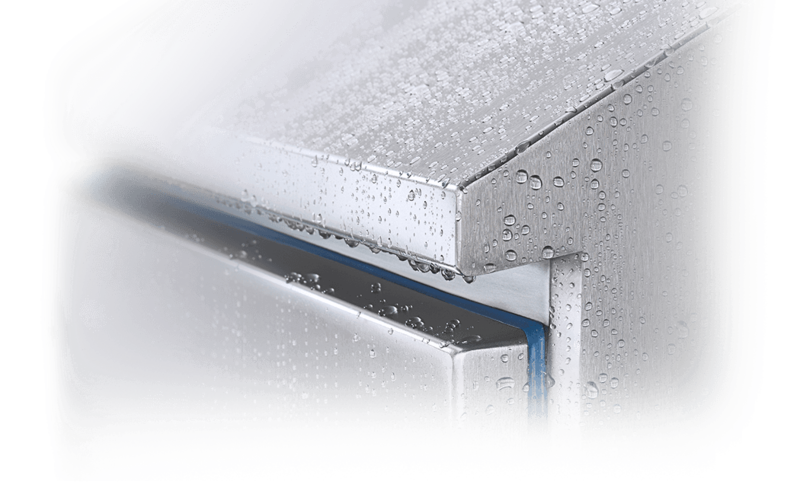 It supplies the air/water heat exchangers in the hygiene zone and the LCP in the data centre with the required cooling water. 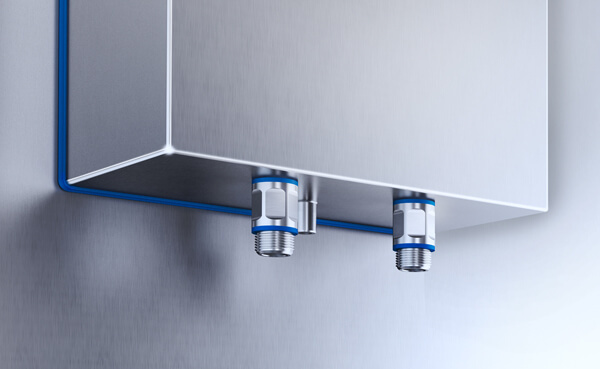 Hygienic design in stainless steel 1.4301 (AISI 304) simplifies cleaning procedures and guarantees food safety with protection category IP 56/59 if correctly fitted – suitable for high-pressure and steam-jet cleaning. 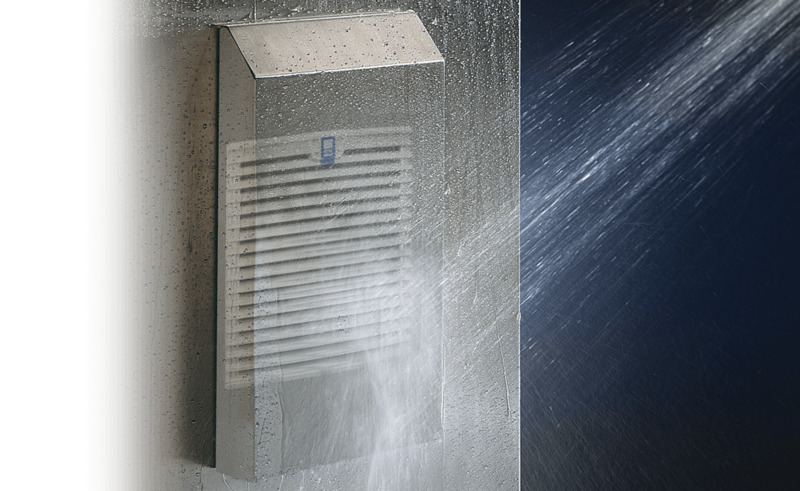 To achieve a protection category of IP 66/69, the ingress of leakage air through the condensate discharge opening must be completely prevented. 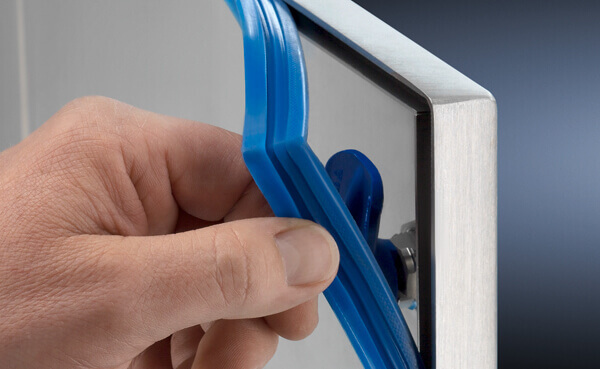 The blue silicone seal is simple to replace and easy to distinguish from traces of food. It does not transfer any undesirable odours, colourants or flavourings. Water connections made from stainless steel 1.4301 (AISI 304), suitable for use in the food industry to DIN EN 1672-2:2009. 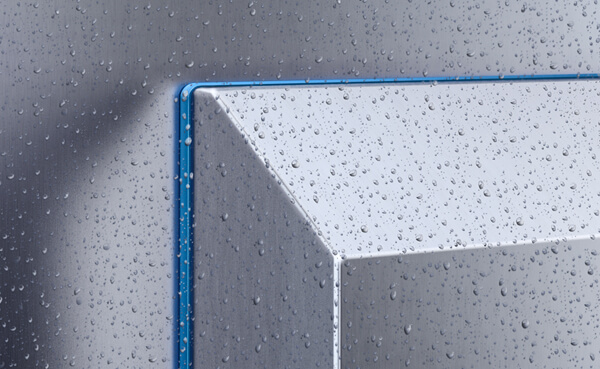 By preventing metal-to-metal contact, flat blue seals made of silicone stop the penetration of dirt and micro-organisms. 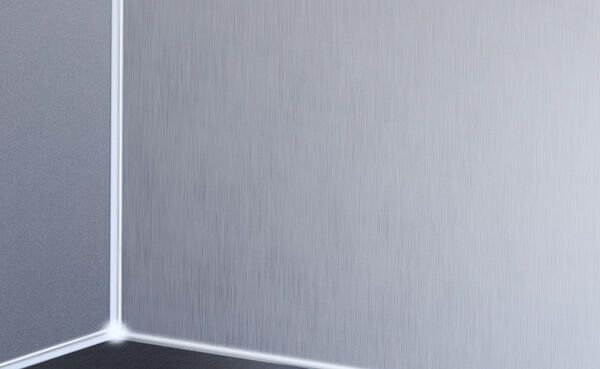 A smooth surface with a brushed finish, a grain size of 400 and a peak-to-valley height < 0.8 µm prevents deposits and stops dirt building up, even in small gaps. Practical accessories for siting, assembly and customised internal installation.